A while back, I was on call on a Saturday night when we got a notification of an incoming trauma, an intoxicated 40-year-old man who had fallen off a barstool and had a scalp laceration. He had a brief loss of consciousness, but it occurred before he hit his head—it seems he passed out, which is why he fell. My first thought was, why is this a trauma? The patient arrived a few minutes later, awake but clearly intoxicated and a bit belligerent. The medic presented the case: the man had staggered into the bar about an hour earlier and had taken a seat on one of the stools. He ordered a beer, but the bartender refused to serve him. He started to stand up, but then passed out and hit his head on the edge of the bar. I restrained myself from asking what ‘life or limb threatening injury’ the patient had that made him a trauma and thanked the medic. I introduced myself to the patient. His speech was slurred and his breath was strong enough to get you high if you stood too close to him. He smelled of other things as well, so I didn’t want to do that. His pupils were equal in size; there was no deviation in his gaze and no blood in his ears. He was speaking spontaneously and followed simple commands. He moved all of his extremities. I doubted he had a brain injury and assumed that he was just drunk, and the obvious bleeding from his head injury had fooled the medics into thinking the injury was more serious than it actually was. I began to unwrap the dressing to look at the wound and assess the bleeding. Then the nurse called out his blood pressure. It was very low, only about 80 systolic. I got the wrap off and found a three-inch laceration in his forehead that was bleeding briskly. Pressure on the wound controlled the bleeding, and I called for some local anesthetic and sutures. A few sutures controlled the small scalp artery and stopped the bleeding. The blood pressure stayed low. There’s an adage in trauma surgery that isolated head injury does not cause hypotension. I went through my primary survey, but the patient was so drunk that he barely responded, even to deep pain. Still, I didn’t see any obvious injury or anything from the mechanism of injury that would explain his persistent low blood pressure. Could he have bled so much from the scalp laceration that he was in shock? I doubted it. The bleeding had been brisk, but not that significant. His pressure dropped even lower—into the low 70’s systolic. I was puzzled but had to do something. I gave him an initial bolus of crystalloid followed by a unit of PRBC’s and one of FFP. I ordered a CT of his head and c-spine. Then a thought occurring to me: The second half of that surgical adage— ‘Isolated head injury does not cause hypotension. The hypotensive patient is bleeding into his belly until proven otherwise.’ I ordered a CT of his abdomen and pelvis as well. The packed cells and plasma helped. His pressure was up into the low 100’s. He went off to the CT and a few minutes later, I knew why he was hypotensive. The CT of his abdomen showed a Grade 4 splenic injury. The spleen lives in the left upper abdomen. It’s about as tough as a ripe tomato with a capsule that is like the tomato skin and a center that is pulpy and full of blood. Injuries to the spleen are graded 1 through 5 based on the amount of disruption that has occurred. Grade 1 amounts to a bruise, Grade 2 may bleed into the splenic substance but not outside of the capsule, Grade 3 breaks the capsule and bleeds into the abdomen. Grade 4 and 5 refer to differing degrees of catastrophic destruction of the spleen. This guy wasn’t hypotensive from his head injury, but he was bleeding into his belly. Many lower grade splenic injuries can be managed without surgery, provided the patient remains stable. A high-grade injury, especially in an unstable patient, means a trip to the operating room. 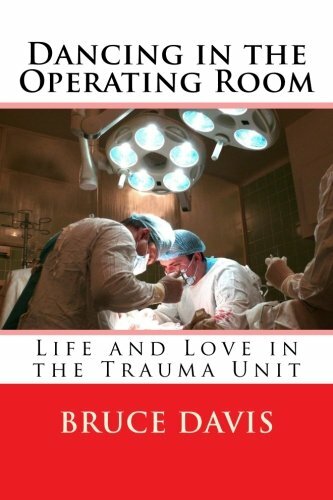 We took him to the operating room directly from the CT scanner, and I took out a spleen that was broken into four pieces and evacuated almost a liter of blood from his abdomen. Two more units of blood and another liter of saline later, he was stable and on his way to the ICU. I’d lost valuable time barking up the wrong tree and ignoring the second half of that old adage. I didn’t see the clues to his abdominal bleeding because I thought I knew how he’d been injured. It was another week before I pieced together what had happened. The patient remembered nothing about the night he came in and was no help. A fall from a barstool shouldn’t cause the degree of damage he had in his spleen. But 3 days after he was admitted, the cops fished a Smart Car out of the East Mesa Canal, about a quarter mile from the bar where my patient had passed out. It took a couple of more days to confirm that it was his car. He had been drunk long before he drove it off the road and into the canal. He’d injured his spleen in the crash but had been able to crawl out and climb the bank, then walk to the bar before his blood pressure dropped enough to make him pass out. The puzzling thing was: why hadn’t he been soaking wet? Salt River Project, the company that operated the canal answered that at the end of the week. The canal had been drained for maintenance that day. It had been refilled about three hours after the crash, completely covering the little Smart Car. To paraphrase Mark Twain: It ain’t what you know that trips you up, it’s what you think you know that just ain’t so. NextHow Common is Hypertensive Recidivism?